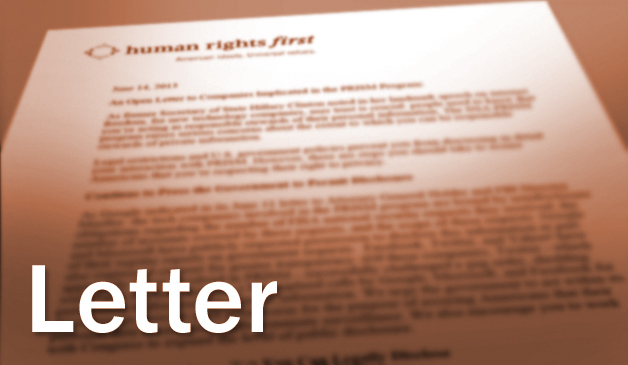 We, the undersigned non-governmental organizations, are deeply concerned about the reported changes to the United States’ policy on the use of lethal force overseas, including through armed drones. According to news reports, in October 2017, President Donald Trump authorized changes to the existing policy related to the use of force in counter-terrorism operations in locations the U.S. government describes as outside “areas of active hostilities.” Several months have passed since those changes were reported, but the Trump administration has yet to release or explain its new lethal force policy. We are deeply concerned that the reported new policy, combined with this administration’s reported dramatic increase in lethal operations in Yemen and Somalia, will lead to an increase in unlawful killings and in civilian casualties. As many of the undersigned groups wrote to National Security Advisor H.R. McMaster in June 2017, the United States should be strengthening, rather than weakening, the previous administration’s policies governing the use of force. With the rapid proliferation of armed drone technology, the United States should not roll back policies intended to improve compliance with international law and reduce civilian harm. Rather, the United States should set an example for the rest of the world on adhering to international law and ensuring that governments are transparent and accountable when using lethal force. Elimination of imminent threat requirement: We are concerned that the new policy reportedly eliminates the requirement that a targeted individual pose an imminent threat. Our concern stems from the need to ensure that U.S. policy allows lethal targeting only where permitted by law. For fighting with a non-state armed group to be classified as an armed conflict, the fighting must reach a requisite level of intensity and the armed group must be sufficiently organized to constitute a party to an armed conflict by, for example, operating under a command structure with the capacity to engage in sustained military operations. Yet the new policy as reported purports to allow permissive wartime targeting to be used outside of situations of armed conflict. If there is no armed conflict, international human rights law exclusively governs the use of lethal force and requires an imminent threat to life before lethal force may be used. Eliminating this requirement, outside of an armed conflict situation, would mean authorizing unlawful killing. Incorrect classification of enemy fighters: The above concern is compounded by the United States’ overbroad definition of who can be targeted under wartime rules. In an armed conflict, only individuals who are members of an enemy’s armed forces or who are directly participating in hostilities may be targeted. But the U.S. defines “membership” in an organized armed group far more broadly, putting individuals at risk of being targeted based on guilt by association, for example because of a house they slept in or a route they traveled. The new policy will enable such already impermissible targeting to be used not just in armed conflict but outside of armed conflict as well. These concerns about U.S. policy are heightened by recent changes in U.S. practice. In the first year of the Trump administration, there has been a dramatic increase in U.S. lethal operations in Yemen and Somalia, including a number of concerning incidents involving credible allegations of civilian casualties. At the same time, civilian casualties caused by U.S. and coalition operations in Iraq and Syria have reportedly increased. In many of these cases, we are unaware of any comprehensive investigation, remedy, or condolence payments for victims of violations and their families. These trends and incidents heighten our concerns about the U.S. loosening its policy rules on the use of force. U.S. policy should apply the law of armed conflict, as it pertains to lethal targeting, only to the conduct of hostilities in situations reaching the threshold for armed conflict under international law, and should ensure that it respects international human rights law at all times. Any use of intentional lethal force outside situations of armed conflict must be limited to circumstances where it is strictly unavoidable to protect against an imminent threat to life. The U.S. government should disclose its policies governing the use of lethal force, including armed drones, the legal framework that it applies to its operations in each country, and all legal memoranda setting forth the basis for particular strikes. It should not make changes in secret to policies that were previously public. The U.S. military should also build on its past practice of making information public about strikes it has taken and any civilian casualties that resulted. All other government agencies involved in using lethal force should be required to do the same.